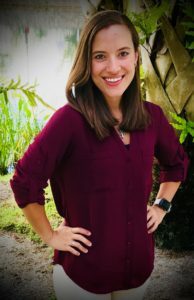 Lauren Kratofil, DPT, earned her Bachelors of Science in Exercise Physiology from Florida State University, and her Doctorate of Physical Therapy from Florida International University, graduating number 1 in her class. 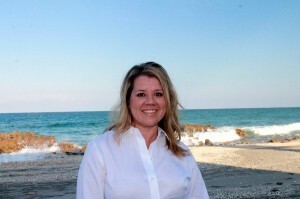 She has experience in a myriad of environments and enjoys working one on one with her patients. She also plans on becoming manually certified in the near future. 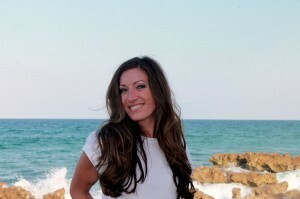 Lauren was born and raised in Pompano Beach, Florida and loves the beautiful sunny weather. Her love of physical therapy stems from watching and learning from her uncle who has been a physical therapist for over 30 years. She was inspired as she watched him have such a positive impact on his patient’s lives and quickly fell in love with the profession. She enjoys hiking and exploring the outdoors with her husband at their family cabin in Montana. 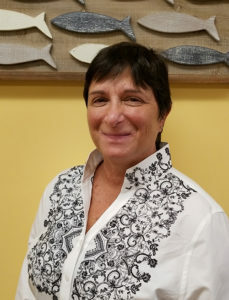 Joy M. Milani, MS-PT, earned her Bachelors of Science in Science/Physical Education with a concentration in Coaching and Athletic Training from Plymouth State University in New Hampshire in 1979. She then went on to earn her Masters of Science in Physical Therapy from Boston University in 1981. Her focus and passion throughout her career has been to treat the whole person using a one-to-one treatment style. She firmly believes that this style optimizes health and healing. 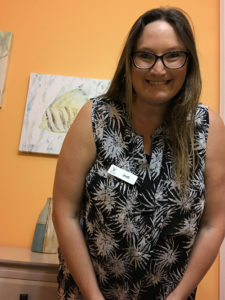 Joy has developed a style of treatment that blends manual therapy with traditional therapeutic exercise to achieve a sense of balance and strength so movement can be as enjoyable as possible for every person. Joy went into physical therapy after working with injured athletes in college because she wanted to learn how to be of help on a deeper level. Joy is new to Florida, and moved to be closer to family. She continues to enjoy getting outdoors as often as she can to walk, swim, play bocce, golf and travel to interesting places with her friends and family. 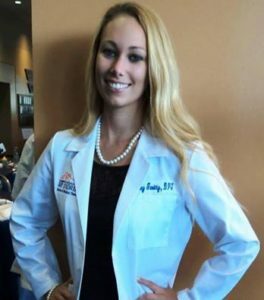 Ashley Garitty earned her Doctorate of Physical Therapy from the University of Florida in April 2013, after which she moved to Mountain View, California to begin her physical therapy practice in an orthopedic outpatient clinic. She has also practiced at major hospital-based outpatient clinics in Boston, Denver, and the Bay Area. Although she has worked all over the country, Saylor is her favorite place and she is excited to be back in her hometown of PBG for her 3rd “season”! Ashley grew up as a dancer and her interest in Physical Therapy began at age 15 when she sustained an injury and spent months in rehab. Realizing the impact PT had on her life, she had a desire to give back and help others to improve their quality of life while meeting new people from all walks of life. Ashley has a particular interest in manual therapy and holistic functional/movement based exercise programs. In her free time, Ashley enjoys spending time with her husband, family, and 5 year old golden retriever named Cruz. She also enjoys hiking, camping, traveling, watching football, doing yoga, exercise, paddle boarding, boating and spending time at the beach. 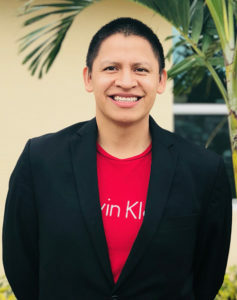 Oscar Jacome, DPT, earned his Bachelors of Science in Kinesiology from the University of Illinois at Chicago and his Doctorate of Physical Therapy from Governors State University. Specializing in trauma, sports, work-related, “Lymphedema” and pre and post-surgical cases. Oscar is originally from Ecuador but grew up in the north side of Chicago. Oscar served in the armed forces for 8 years; he was in active duty stationed at Fort Bliss Texas for 4 years including a tour to the Middle East in 2002, he also completed 4 years with the Illinois National Guard. He is certified in both manual lymphatic drainage (Vodder technique) and Graston. 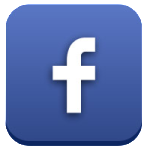 Oscar also has a background in clinical massage therapy, he graduated from Soma clinical massage school in 2012. Oscar has over 5 years of experience working in outpatient Physical Therapy Clinics treating patients of all ages and skill levels including workers comp, athletes, and post-cancer. Oscar and his wife moved to Florida in October 2017. During his free time, he is active in real estate and likes to travel to different states and overseas. He also enjoys playing soccer and walking with his wife. Holly Whitford (ATC, MPT, CKTP, and TPI) earned a Bachelor of Science degree in Athletic Training from the University of Central Florida in 2002 and her Masters of Science degree in Physical Therapy in 2006. She served as the Head Athletic Trainer for a National Cheerleading company for nearly 10 years and has over 10 years of experience working in outpatient Physical Therapy Clinics treating patients of all ages and skill levels including professional athletes. She is an APTA certified clinical instructor and has mentored many PT students from the U.S. and around the world. Holly had the unique opportunity to live in the UK in 2011 and work as a Physiotherapist for Amateur and Professional soccer players. She has completed many hours of training from the University of St. Augustine toward her Manual Therapy Training, is a certified Kinesiotaping Practitioner, TPI certified and will be completing her certification as a Board Certified Orthopedic Specialist early next year. Holly was born and raised in South Florida. She has participated in many triathlons and adventure races, loves rock climbing and anything to do with the outdoors, is a regular paddle boarder, beachgoer and can’t get enough Florida fun in the sun! Lisa Fossett earned her Bachelor of Science degree in Athletic Training from the University of Central Florida in 2002 and her Master’s of Science degree in Physical Therapy from Florida International University in 2006. As a specialist in sports-related injuries, Ms. Fossett has worked with high school, collegiate, and professional athletes. She served as the head Physical Therapist/Athletic Trainer for The Washington Glory, D.C.’s professional fastpitch softball team, for two years. 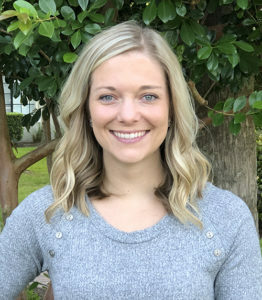 Ms. Fossett has completed extensive manual therapy training and is currently working towards her Certification in Manual Therapy and a Doctoral Degree in Physical Therapy while completing her Certification as a Board Certified Orthopedic Specialist, as well as becoming a certified Pilates instructor. Ms. Fossett is an active member of the American Physical Therapy Association and National Athletic Trainers Association. Lisa is also TPI certified as well. Demetria C. Velazquez, DPT, earned her Bachelors of Science in Business Administration and Marketing from Regis University in Denver, Colorado. She later earned her Doctorate of Physical Therapy from Texas State University in San Marcos, TX. She has experience working with the outpatient orthopedic population, as well as with acute care and orthopedic patients post-operatively. She has a strong passion for helping people of all ages and activity levels. 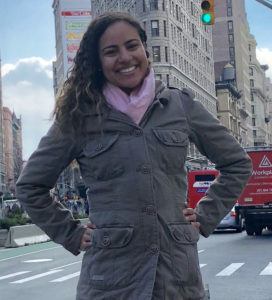 Demetria intends to focus on movement impairment syndromes and plans on obtaining specialization certifications in strength and conditioning, orthopedic manual therapy, and TPI. She also has a strong interest in vestibular rehabilitation and concussion management. Demetria was born and raised in San Antonio, TX. She danced professionally for the Alamo City Dance Company for 9 years and was captain of the Regis University Rangers dance team in college. Her involvement in dance sparked her interest in the human body and movement, which ultimately led to her pursuing a career in physical therapy. In her free time, Demetria enjoys spending time with her boyfriend, Matt, and her cat, Kingston. 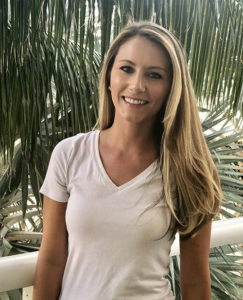 She also enjoys working out, running and training for her 3rdhalf marathon, exploring everything Florida has to offer, reading, cooking, and learning how to golf. Nicole Reynolds, MS, OTR/L, earned a Bachelor of Science in Occupational Therapy from Gannon University in Erie, Pennsylvania in 2011 and her Masters of Science in Occupational Therapy in 2012. Nicole gained experience as an Occupational Therapist as a travel therapist, traveling all over the country and gaining knowledge in orthopedics, neurology, cardiology, and various age-related injuries in many different settings. Nicole has over 6 years of experience as an Occupational Therapist and has her LSVT BIG certification for those with Parkinson’s Disease. She has also gained a passion for the hand and upper extremity and is currently working toward becoming a Certified Hand Therapist (CHT). Nicole is also an active member of the American Occupational Therapy Association. Being from Buffalo, NY, Nicole heard the Florida sunshine calling her name! She enjoys traveling, exercising, golfing, boating, going to the beach, and being outdoors. Rachael Elking, DPT earned her Bachelors of Science in Athletic Training from Otterbein University in a suburb of Columbus, Ohio and her Doctorate of Physical Therapy from Ohio University. 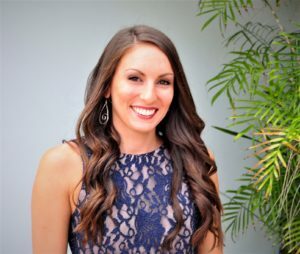 Rachael was born and raised in a small town in Ohio and moved to Florida after graduating from PT school to allow her husband to pursue his career. Rachael has experience working in the outpatient setting and enjoys treating all conditions but tends to gravitate towards neurological conditions such as Parkinson and Stroke/CVA. Rachael is passionate about helping individuals live the happiest, healthiest life and getting people back to doing the activities they enjoy. In Rachael’s free time she enjoys working out, reading, spending time with her husband and family. Jodi Jackson was born and raised in Palm Beach Gardens Florida. She graduated from Palm Beach State College with an Associate of Science Degree in Paralegal Studies. After spending a few years in the legal field Jodi discovered her true passion for the administrative side of physical therapy. In her spare time, she enjoys spending time with her niece and two nephews, swimming and traveling. Jodi loves meeting new people and watching patients reach their goals through physical therapy. Anita is a prospective nursing student and loves doing for others, which is why Saylor Physical Therapy is a great match for her. With a background and experience in physical therapy and education in business, she is excited to be a part of the Saylor team. She enjoys meeting our current, new, and returning patients and wants everyone to have a great overall experience. If there is anything she can do to make your experience with Saylor Physical Therapy better, please don’t hesitate to let her know 🙂 I’m here to help make your day! We look forward to assisting with your recovery!